Y’all, today is my birthday. A BIG birthday. I’m entering my fourth decade begrudgingly, but if I have to do it — I would like it known that these bars are comin’ with me. I’m not sure how this day is gonna go down (because I’m writing this post at 5:41am) but I have a feeling it will be a whirlwind of laughter, maybe a little surprise and a hint of sadness. I’ll let you know next week! In the meanwhile, can we talk about these bars I made earlier this week? I love a good bar cookie more than anything else because they are so easy to make. No scooping and rolling the dough; just press it all in the pan and voila! 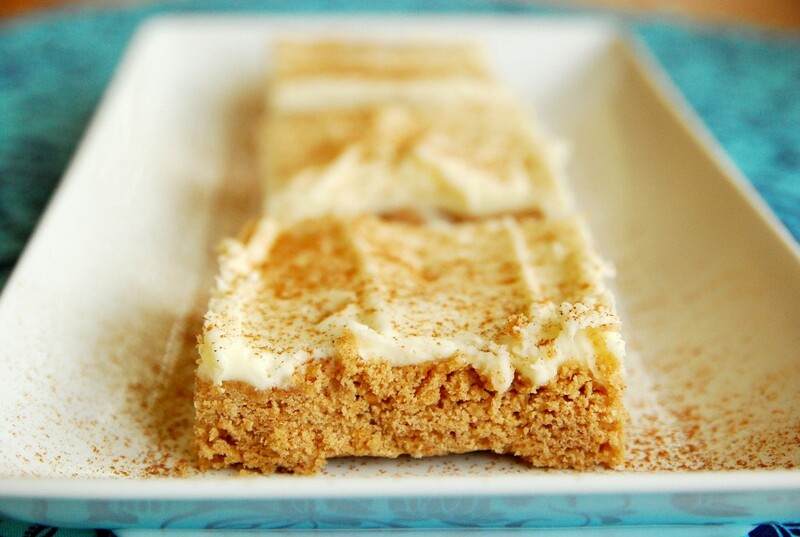 Delicious cookie bars. I like these even better than the average bar cookie because they are so unique. 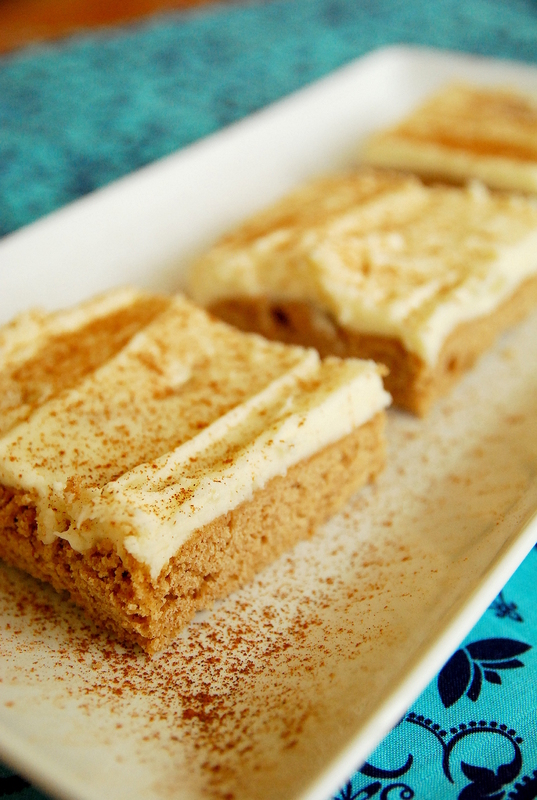 They’re a cinnamon roll slathered with cream cheese frosting, but in cookie form. And they’re so tender and buttery, you won’t be able to stop yourself from eating a whole row of bars. p.s. This is some sticky dough, so be sure to butter your hands — or spray them with cooking spray — before pressing into the pan. Preheat oven to 350 degrees. Spray a 9x13 baking dish with cooking spray. Combine flour, cornstarch, cinnamon, baking powder, salt and powdered milk in a medium bowl. In a separate large mixing bowl, combine butter, brown sugar and granulated sugar with an electric mixer until pale and fluffy. Add eggs one at time mixing until combined after each addition. Blend in sour cream and vanilla. With mixer set on low speed, slowly add in dry ingredients and mix just until combined. Use buttered hands to gently press and spread cookie dough into an even layer in dish. Bake in preheated oven until toothpick inserted into center comes out clean, 17 - 21 minutes. Allow to cool completely then frost with cream cheese frosting. Cut into squares and store in an airtight container. Combine cream cheese and butter with an electric mixer until pale and fluffy. Add vanilla. With mixer set on low speed, slowly add in powdered sugar and continue to mix until fluffy.